Just opened, dusitD2 Constance Pasadena brings a fresh approach to one of Pasadena, California’s most recognisable historic buildings. Set in the midst of Pasadena’s central business district within walking distance of many of the city’s main attractions, the new hotel is the first location in the United States for the Dusit family of hotels and resorts. dusitD2 Constance Pasadena offers modern design by Hong Kong-based designer Joey Ho, innovative in-room technology, and impeccable service designed to satisfy the new generation of leisure and business travellers. 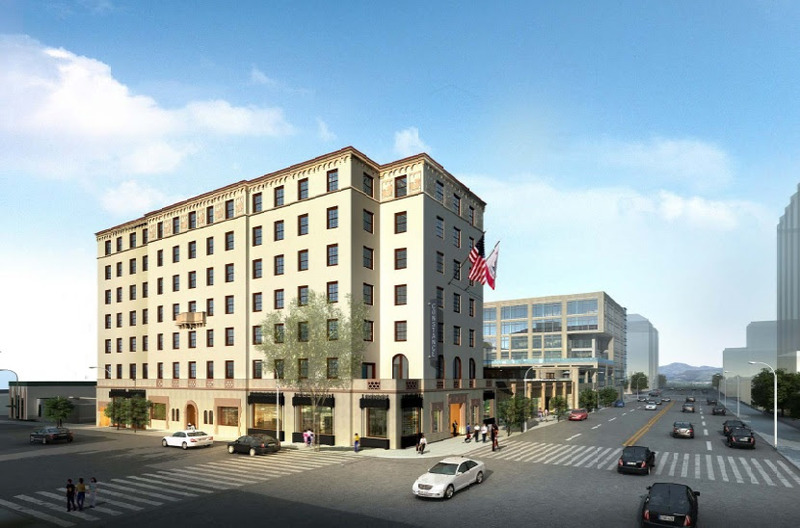 “We are thrilled to enter the United States with this iconic property in the growing city centre of Pasadena within the thriving Los Angeles region,” said Chanin Donavanik, managing director, Dusit International. dusitD2 Constance Pasadena is a hotel management contract between operators Dusit International and owners Singpoli Group, a Pasadena and Arcadia-based capital company. “Throughout our long-time presence in the Pasadena community, we’ve seen a true need for an innovative and exciting hotel property to come into the downtown Pasadena scene,” said Kin Hui, chairman of Singpoli Group. The new dusitD2 Constance Pasadena includes 136 guest rooms and suites and features contemporary design and tech-savvy amenities. The hotel’s D2 restaurant and d’bar, which are poised to become Pasadena’s newest hotspots, specialise in locally-sourced cuisine with Asian flavours and hand-crafted cocktails, introducing a new flare to the Los Angeles dining scene. “dusitD2 constance Pasadena is a marvellous positioning of old and new - combining the gorgeous historic property with high tech amenities and high touch service,” said Martin Nicholson, general manager of dusitD2 Constance Pasadena.